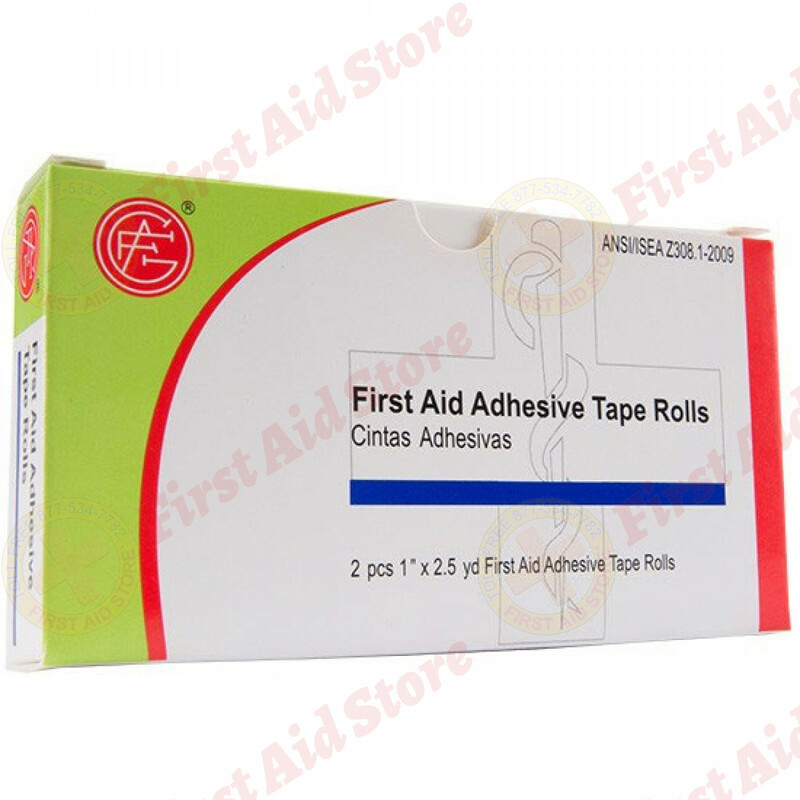 Genuine First Aid Tape firmly secures bandages to your wound, providing long-lasting protection. 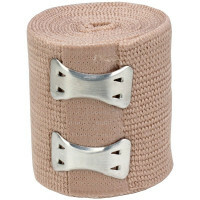 It is strong, durable, breathable and latex free. Tears easily by hand so it can be customized to any size. 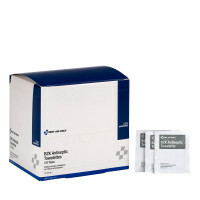 Packaging is certified latex free. 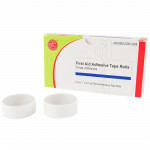 Packaging states 1" x 2.5yd Tape Roll. 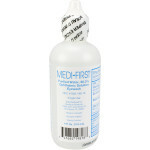 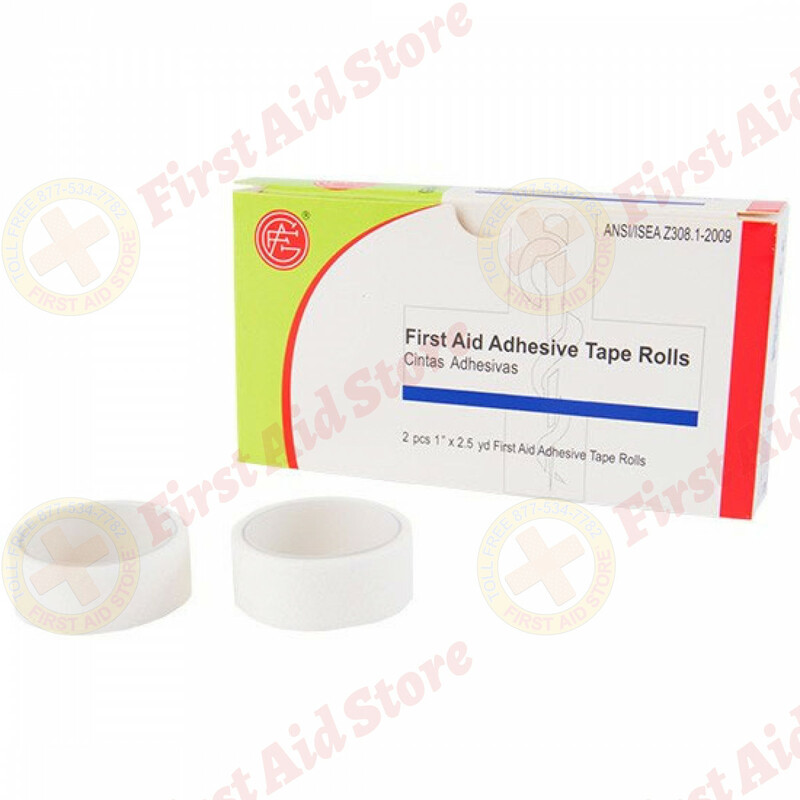 The Genuine First Aid® 1/2" x 2.5 yd. First Aid Adhesive Tape Roll - 2 Rolls Per Box.